Few weeks after I founded Eurolanche I had started to work on our first website. It had nothing common with the current homepage. A domain’s name was www.eurolanche.wbl.sk - it was owned by the free hosting company. A pioneer website had very simple structure and graphics. 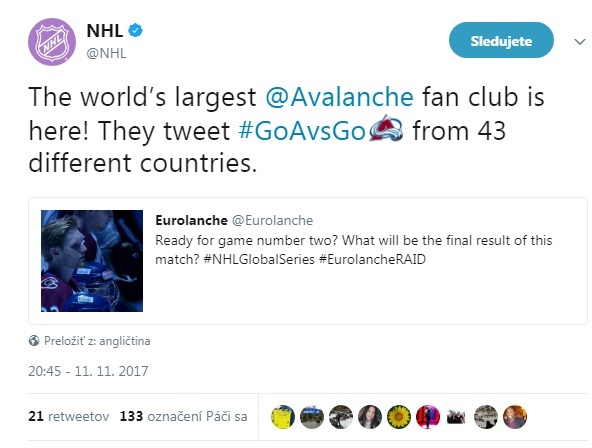 Its main goal was to introduce our main goals to the fans and offer a free membership to European Avalanche fans. Later, I had to start thinking about improvements in our website as a interest of the fans about the Fan Club was increasing. As I student I could not afford to pay for own domain and a professional website/graphics. Fortunately, there were enough members who donated this project. In the spring 2008 we launched our very first pro-website at our domain www.eurolanche.com. Since then, we changed a website for two more times. The second time occurred in 2010. Honestly, I was not impressed with the ongoing changes, but there already was not a way back. So one year later, we changed the website again - and for the final time. Since 2011, our website has not changed. Besides that, we have launched many other sub-websites for special projects and occasions: invasion.Eurololanche.com furor overseas trips, StadiumSeries.Eurolanche.com for the Stadium Series coverage, GlobalSeries.Eurolanche.com for two European games, story.Eurolanche.com for our anniversary and book.Eurolanche.com (kniha.Eurolanche.com) on the support of our book.